Liberia is a country originated from the US project to send freed blacks and mulattos to Africa. 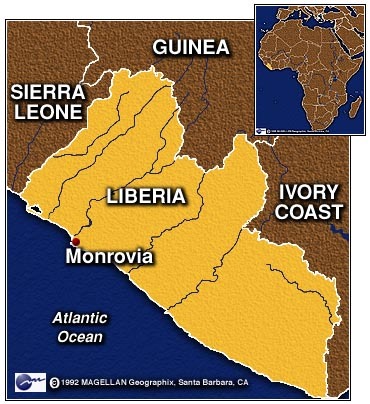 In 1822, came the first settlers and was the foundation of the current capital, Monrovia (named after the former US president, James Monroe). Joseph Jenkins Robert, born in Virginia and Governor of the community of Americans freed, proclaimed the country’s independence in 1847. Until 1884, the country was governed only by presidents born in the USA. The American-Liberians (descendants of freed) became the ruling minority of Liberia, before the majority of the population consists of local ethnic groups. Until 1951, the only American-Liberians could vote for governors. Only in 1980, after a coup that ousted President William Tolbert, Liberia was ruled by a president not American-Liberian, Samuel Doe. The 1847 Constitution was suspended and replaced by 1984. His ethnic group, Khran, however, came into conflict with other ethnic groups and the country descended into civil war. Doe was captured, tortured and killed in 1990. Even with this constitution, Liberia is a member of the United Nations (UN). Article 28 Any person, at least one of whose parents was a citizen of Liberia at the time of the person’s birth, shall be a citizen of Liberia; provided that any such person shall upon reaching maturity renounce any other citizenship acquired by virtue of one parent being a citizen of another country . No citizen of the Republic shall be deprived of citizenship or nationality except as provided by law; and no person shall be denied the right to change citizenship or nationality. From On Liberia (visitado em 23/11/2013). 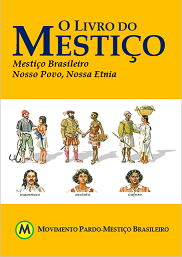 Posted in Estrangeira, Legislação, Pretismo | Negrismo | Transnegrismo, Racista.